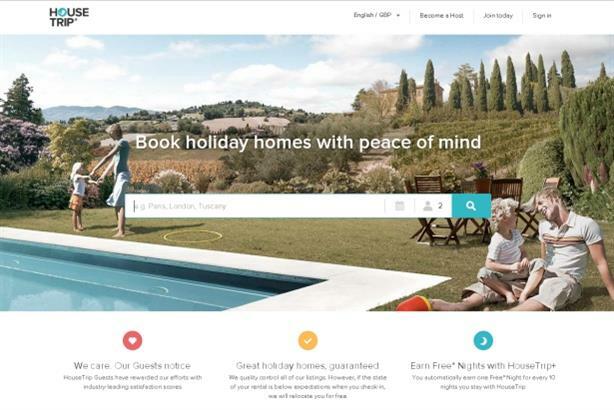 Holiday rental website HouseTrip.com is holding a pitch for its first UK-based PR agency to help the company establish a brand presence. Four bgb, 3 Monkeys Communications, Weber Shandwick, MSL Group and Talk PR are in the running for the work, which will mean a six-figure win for the appointed agency. The successful agency will be responsible for pan-European strategy, creative development and tactical implementation in the UK and France. The company’s existing agencies in Spain and Germany, Globally Turismo and Global Communications Experts, will continue to work in their markets following the new agency’s strategy. The decision to bring in PR support follows the appointment of ex-P&G director Zaid al-Qassab to the role of chief marketing officer earlier this month and the pitch is being overseen by HouseTrip PR director Ryan Levitt. Levitt said: "This opportunity is a huge one for a PR agency that wants to help establish a brand in one of travel’s most exciting sectors. We are looking for a partner that is creative and forward-thinking, yet able to turn things around fast and effectively." The new agency will be expected to work closely with the recently appointed brand advertising agency McGarryBowen and media buying agency Goodstuff Communications.